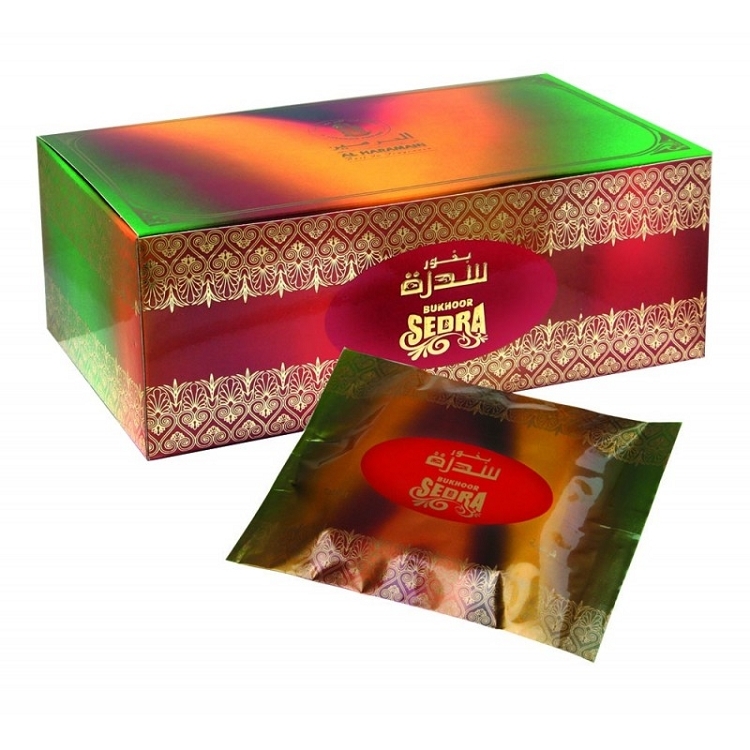 A warm and fruity incense based on the popular Sedra perfume. A hearty combination of fruity and floral notes makes this an ideal bukhoor for your home. A beautiful smelling popular bakhoors, gentle to burn and slow to release. Supplied in 45gm block that looks like a small bar of chocolate, sealed inside foil wrapping. DIRECTION: Take a piece of burning charcoal and heat a corner of it with a small flame (lighter/cooker) for about 60 seconds until it becomes red hot. Place the piece of coal in incense burner. Sprinkle small amount of incense. You may also sprinkle the incense directly on an electric burner. A tantalizing fragrance! I mostly smell rose with ylang-ylang, over oudh and musk... but it is a complex scent, deep and dark and so beautiful.